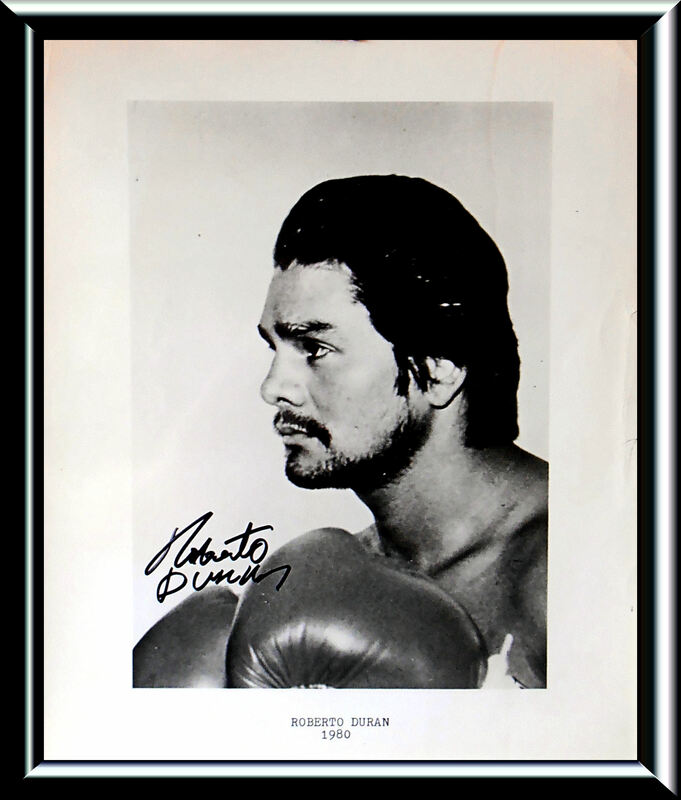 Description : Here we have the iconic 10in x 8in Roberto Duran B/W photograph that was used for the official launch & press presentation for the June 20th 1980 clash with Sugar Ray Leonard. 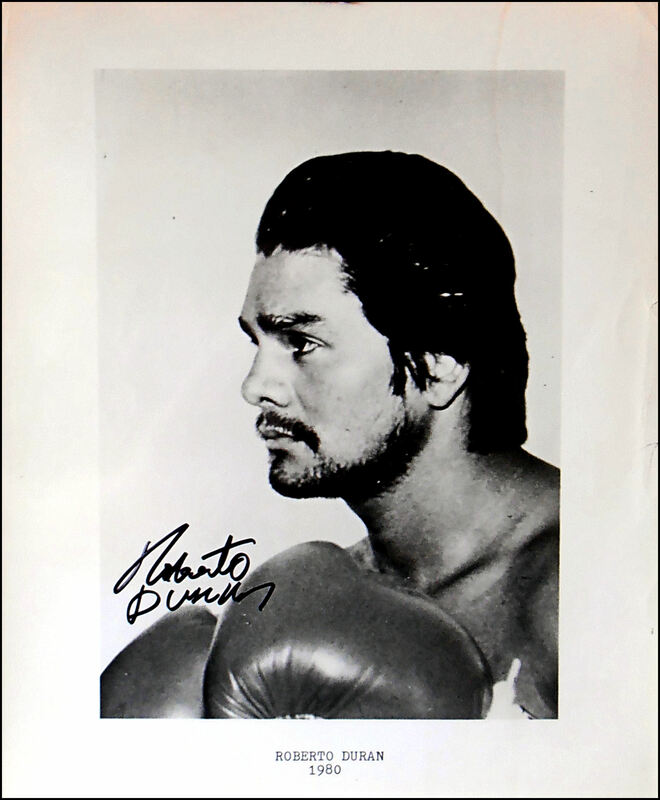 This photograph has been signed by the living legend Roberto Duran. Duran was awarded a unanimous decision, although it was mistakenly read as a majority decision in the ring. The scorecard of judge Angelo Poletti was incorrectly added and announced as 147-147. He actually scored it 148-147. In rounds, he had it three for Duran, two for Leonard, and ten even. Sports Illustrated called his scorecard "a monument to indecision." Judges Raymond Baldeyrou and Harry Gibbs scored the fight 146-144 and 145-144, respectively. The Associated Press had it 144-141 for Duran, all these scores are more than a tad generous to Leonard IMO, it was a 10-5 at the very least for Duarn who had the fight locked up after 10 rounds of the 15 fought. One of the greatest victories of all time! 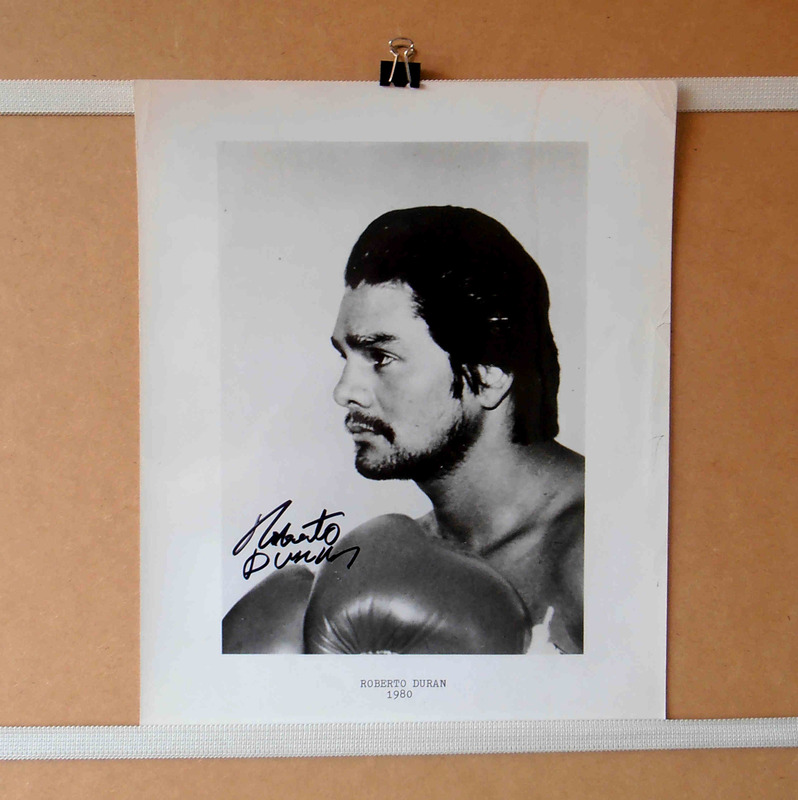 This Roberto Duran signed photograph comes with a lifetime guarantee of authenticity fro KOfightposters. Condition : Very Good / Minor handling & general edge wear / Framed 4 display only!